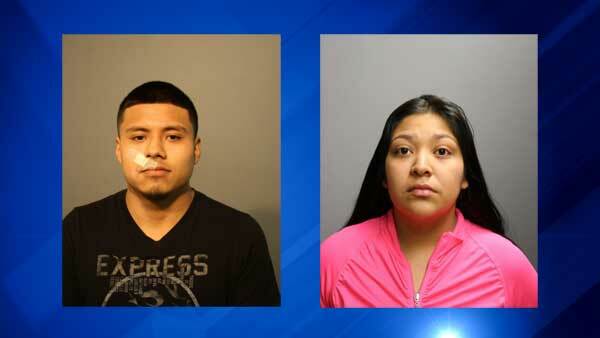 CHICAGO (WLS) -- Alfredo Medina and Vanessa Marchan, both 19, were charged in a string of armed robberies in Chicago's Logan Square and Kilbourn Park neighborhoods. Police said Medina went into several businesses armed with a gun or knife and robbed them of cash or property between Feb. 1 and March 25. He then fled the scene of each incident in a getaway vehicle driven by Marchan, police said. Medina, of the 2400-block of North Austin Avenue, was charged with six counts of armed robbery with a dangerous weapon and two counts of armed robbery with a firearm. Marchan, also of the 2400-block of North Austin Avenue, was charged with four counts of armed robbery with a dangerous weapon. They are both due in bond court on Friday.